When you're expecting company, welcoming a kid home from college, or making room for last-minute guests, a spare bedroom is a welcome addition. But the rest of the year, an extra bed may take up more floor space than you'd like. 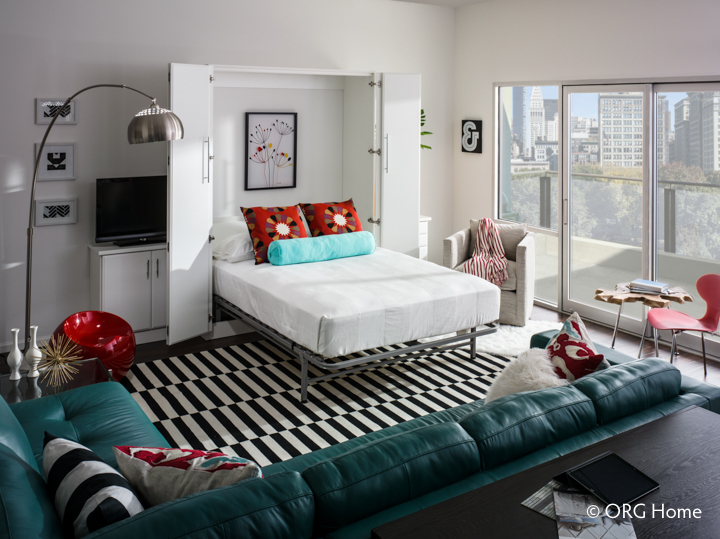 With a Murphy Bed, you get the best of both worlds, so you don’t have to choose between your guests’ comfort and your own desire for extra space. In between guests, stow the Murphy Bed against the wall behind bi-fold doors, opening the room up to all kinds of possibilities for everyday living. Add a TV to create your own entertainment area, or use the open space as a sewing room, art studio, or exercise room. The twin, full, or queen-sized frame holds a mattress up to 11 inches thick, so you or your guests can get a quality night’s sleep. And everyone knows, a good night’s sleep starts your day off right! Prevent guests from losing their belongings while they sleep with a folding headboard that covers the gap between the mattress and the wall. Add a pillow-box with soft-close hinges to serve double-duty as a nightstand and convenient bedside storage. Open shelves invite guests to stow their belongings up off the floor during their stay. 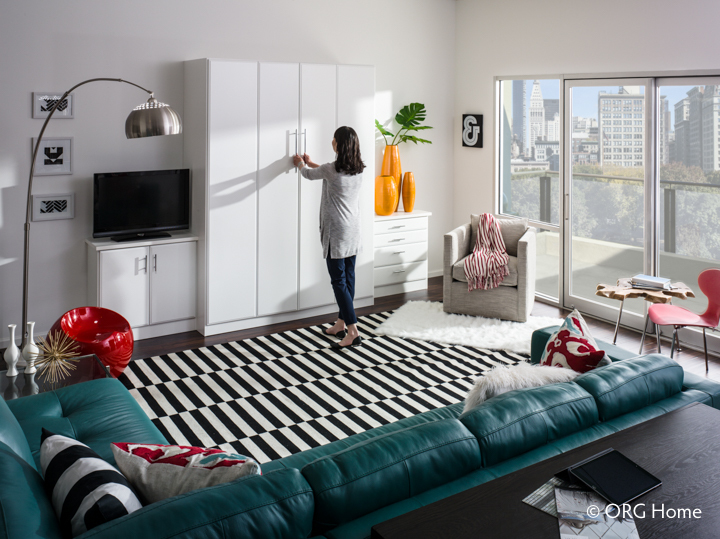 With ORG Home, you can combine a Murphy Bed with surrounding storage and display cabinets that give your room a polished look and practical function any time of day. 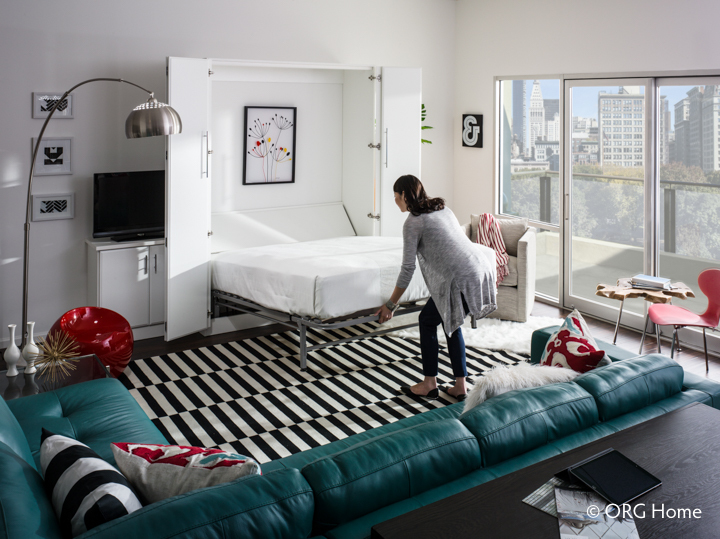 With a Murphy Bed, you really can have it all: comfy guest quarters that are ready whenever you need them, and extra space for your own pursuits as well.